Jamie Hauad was released from prison Friday after 21 years behind bars for a crime he claims he did not commit. Hauad left Graham Correctional Center in Hillsboro Friday afternoon, but his conviction has not been overturned. Hauad's attorneys are working to prove his innocence. Hauad and his attorneys allege that he was tortured by police during questioning. Officers allegedly threatened to slice Hauad's toes with a paper cutter and sliced through his sneakers. The sliced sneakers have been submitted as evidence. The Illinois Torture Inquiry and Relief Commission ruled that the sneakers are evidence of torture. Hauad was convicted of killing two rival gang members more than 2 decades ago and sentenced to life in prison. He was 17 at the time. "My son is coming home and that's the most important thing. He's been wrongfully convicted for the past 20 years," said Anabel Perez, Hauad's mother. 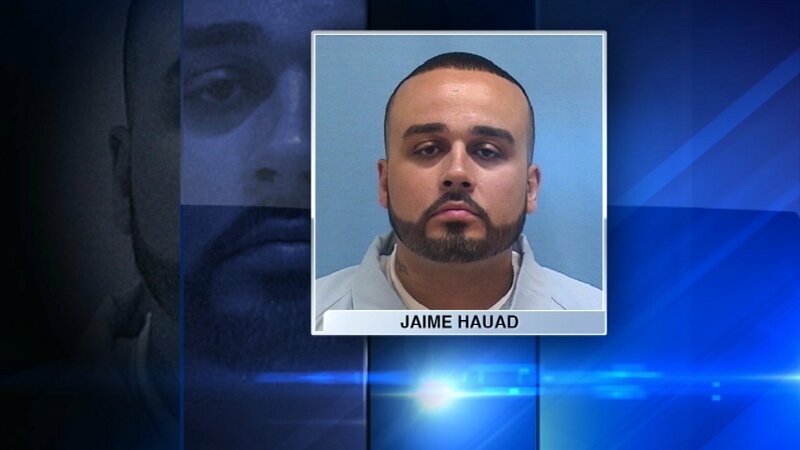 On Thursday, a judge signed off on Hauad's release after the Cook County State's Attorney's Office reviewed the case and agreed that he should be freed. "I do want to thank the state's attorney office for the investigation and giving back my life," Hauad said during the hearing. It's unclear if Thursday's ruling will result in any disciplinary action against the police officers allegedly involved in the alleged torture. Jaime Hauad has always maintained his innocence and continues the fight to clear his name.